“Catalyzing, Mentoring, Curating, Incubating, Funding and Scaling of Micro and Small District Entrepreneurs (MSEs), this also includes Food Producers Organizations (FPOs) and Producers Organizations (Clusters), in Underdeveloped Regions and Underprivileged Communities ” which we are presently carrying out in 25 Regional District Hubs across 13 states in India, through 100 two day workshops followed by 2 or 3 days of local business diligence of the selected 4 to 6 micro and small enterprises in the workshops, and ultimately choosing at minimum 50 MSEs, 2 from each Regional District Hub, to scale to Rs 50 crores in next 5 to 7 years time. This exercise we are doing for year 2017-2018 and 2018-2019, to catalyze and curate the first cohort of minimum 50 to work with. We have started this initiative as early as 2013 in a small way in 2 states, and now we are scaling up. 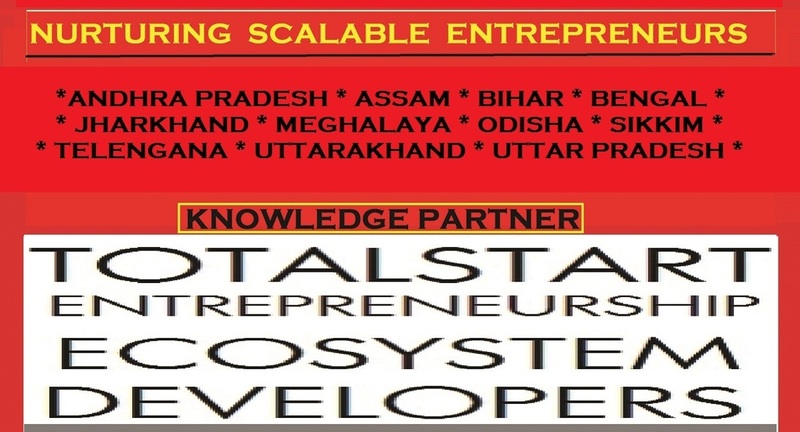 Focus on 25 regional district hubs across select 13 states in India for the intervention to develop the entrepreneurship development ecosystem at the grass roots to catalyze, mentor, curate, incubate, invest and scale micro and small entrepreneurs (Including FPOs and POs/Clusters) and DIPP,GOI category defined start-ups in years 2017-2018 & 2018-2019. We will try to catalyze at least 20% of these from women entrepreneurs or women engaging enterprises. Carry out 1 business model competition in year 2017-2018 & year 2018-2019 between October 2017 till March 2019 at each selected regional district hubs, 25 all together in 13 states in India. Carry out 4 two to three day workshop in each selected regional district hub before each business model competition which are to be conducted bi-annually towards grooming and giving the foundation level directions to the participating and later selected micro and/or small entrepreneurs at the business model competitions. On the basis of the number of micro or small entrepreneurs who are chosen for the business model competition at the first workshop, the second workshop can be of 2 or 3 days duration. The workshops involve high levels of one to one mentoring and handholding followed by 2 to 3 days of half day due diligence of each of the 4 to 6 selected MSEs at the workshop. Goal of this intervention program is to every two years have at least 10 to 20 highly scalable and fundable micro or small entrepreneurs at each regional district hub. The Purpose of this Exercise: Bi-Annually scout/hunt and select 10 to 20 micro or small entrepreneurs from the existing/prospective entrepreneurs or start ups from each Regional District Hub, after working with 100+ of them across each of the 25 Regional District Hubs across 13 states in India, who can be mentored, nurtured, scaled through a 1 year acceleration program or a 2 year mentoring program and then funded for high growth to the level of INR 50 crores in the following 5 years and INR 100 crores in 10 years. We follow a strict methodology and engage with only serious players as we should have a mandate to fund at least 50 scalable entrepreneurs every two year to scale for high growth, from our network VC funds, our own Angel Network Fund and Government mandated MSE funds and several financial institutions with whom we are engaging with. The select Regional District Hubs in the select states are as given below.